Who says fashion can’t be practical? 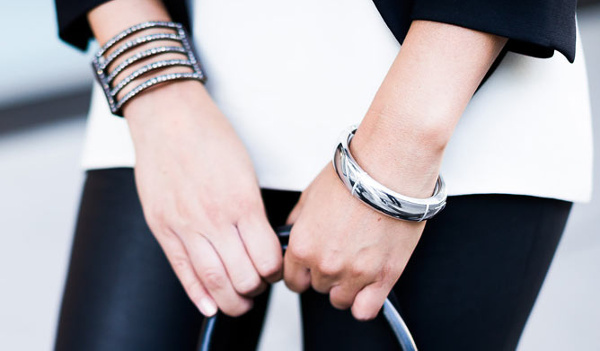 A new bracelet not only looks smart, but is super clever too. MEMI is about to release a smartbracelet that connects wirelessly to iPhones to make sure you never miss a call. It’s aimed at women who like to carry their mobiles in their handbag and gently vibrates when the phone receives a call, text or calendar invitation. Wearers can even use a free app to customise whose texts and calls the bracelet will alert them to – so you need never miss an important call from your boss, babysitter or bestie. It needs to be charged every five days or so and is compatible with iPhone 4S and up. 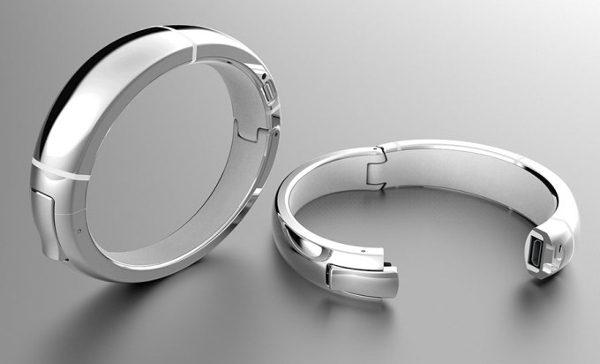 According to TechCrunch‘s Sarah Perez, the bracelet doesn’t look like wearable technology – it looks like good jewellery. It also lets the wearer hide the phone in their bag and free up a hand that might otherwise be used for obsessive text checking. It’s made from rhodium-plated metal, weighs 56.5 grams, is water resistant and will come in gold and silver. It will pick up the phone’s signals from up to fifteen metres away. Best of all, it can be turned off if you just want to wear the bracelet as a nice piece of jewellery. The silver version of the bracelet is already available to order on MEMI‘s website for US$150, plus US$15 international postage. MEMI is promising to have them shipped by August.